Samuel and Margaret Irvine Todd are pleased to announce the marriage of their daughter Sarah Armina Todd to Joseph Russell Donaldson, son of William and Catherine Scott Donaldson. 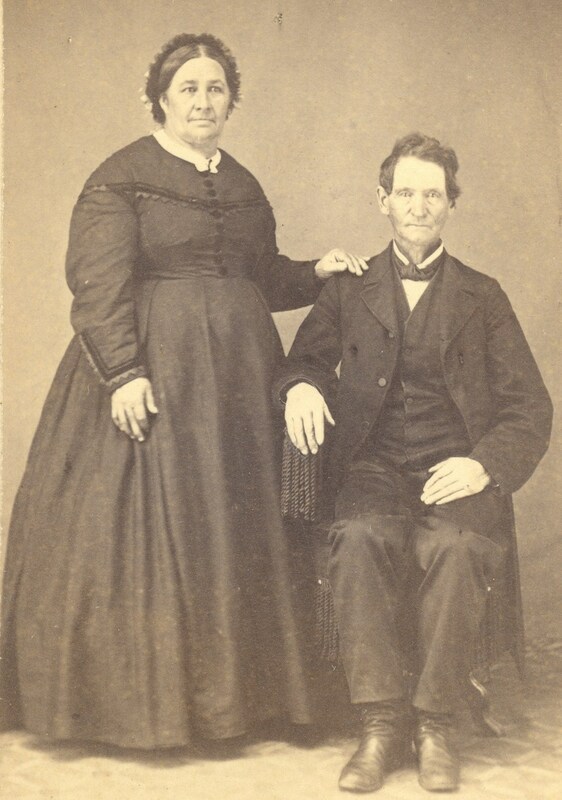 Joseph and Sarah were married 19 November 1862 in Pittsburgh, Frontenac, Ontario. We really do not know much about this family in terms of personality. We do know a few things about their lives from documents left behind. 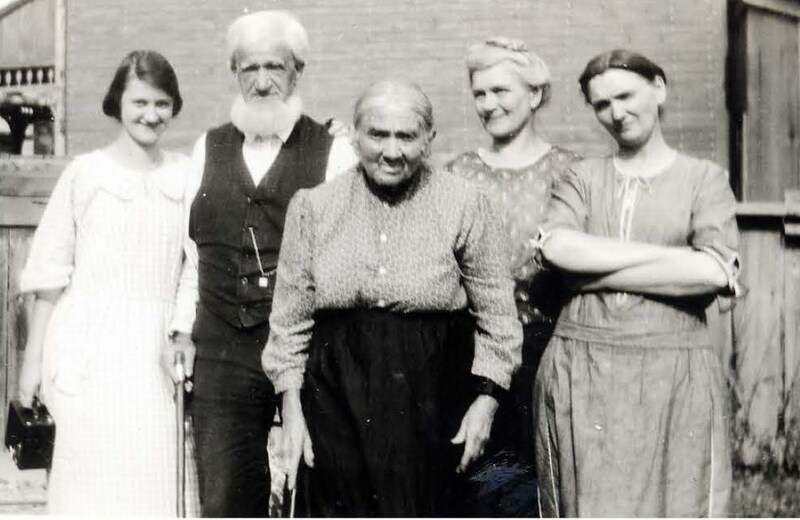 I thought I would write this article in hopes that other photos may be found, but at least I can share this picture of Joseph and his second wife, Agnes. Sarah Armina Todd was born the first of five children born to Margaret Irvine and Samuel Todd 13 April 1839 in Cape Vincent, Jefferson, New York. We think the family had just barely arrived from Ireland. The family then settled in Pittsburgh where her father worked as a blacksmith and farmer. We also believe Margaret was of the Irvine Clan in Northern Ireland, but have yet to verify any of that. We do not even know if Margaret and Samuel knew each other before leaving to emigrate to Canada. They may have met in the United States or on the ship over the pond. No pictures of her to date have appeared, hopefully one will arise at some point. Joseph Russell was born seventh of nine children we know of born to Catherine Scott and William Donaldson 12 April 1836 in Bredie, Tyrone, Northern Ireland. We still have to confirm the exact location, but this is from family history sources stretching to Joseph and Sarah’s sons. 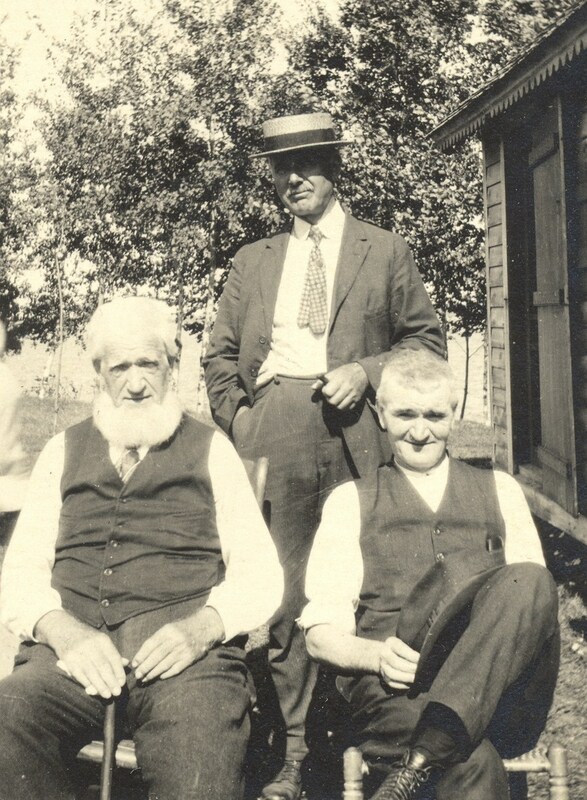 Joseph’s parents emigrated to Joyceville, Frontenac, Ontario we believe around 1842. We have yet to verify much of the information related to this family. I have posted some information on Joseph’s sister, Mary Hutton. I have also made mention of Joseph’s double nephew, William John. Anyhow, Joyceville and Pittsburgh are about 1.25 miles apart and it is easy to imagine how Joseph and Sarah met. Both families were in the area long enough they were probably well acquainted with each other and the myriad of cousins living in the vicinity. However they met, the two were married in Pittsburgh in 1862 and went on to have eight children. Joseph worked as a farmer his entire life in the Pittsburgh area. Margaret Emma Donaldson was born 6 February 1864 in Joyceville and died 11 June 1916. We do not know where she died or if she ever married. 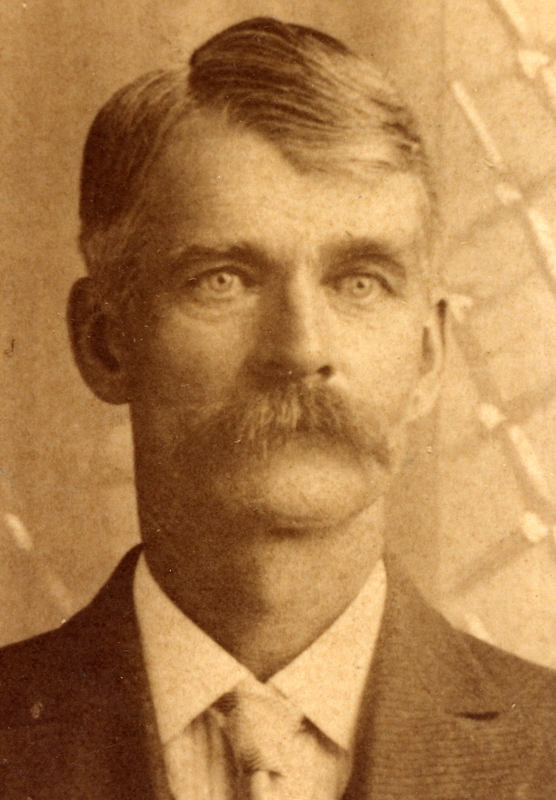 William Scott Donaldson was born 18 June 1865 in Joyceville and died 12 September 1913 in Ogden, Weber, Utah. He worked for the Union Pacific Railroad, which took him west. There he met and married Mary Elizabeth Williams. I have written of their life at this link: Donaldson-Williams Wedding. Samuel Gordon Donaldson was born 23 February 1867 in Joyceville and died 22 October 1933 in Cleveland, Cuyahoga, Ohio. He married Catherine Joyce 18 January 1899. 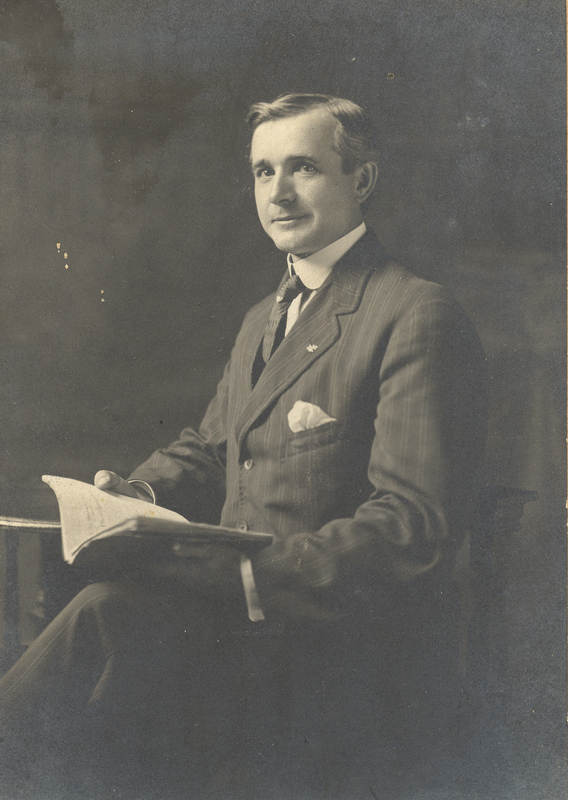 Joseph Russell Donaldson was born 15 September 1868 in Joyceville and died 19 October 1922 in Toronto, York, Ontario. He married Mary Elizabeth Connell 1 May 1899 in Joyceville. George Donaldson was born 10 October 1871 in Joyceville and died 8 December 1943 in Watertown, Jefferson, New York. He married Florence Martha Carey 9 January 1896 in Clayton, Jefferson, New York. Here are photos of their family. Sarah Gertrude Donaldson was born 15 July 1873 in Joyceville. We do not know anything really more about her other than she married Harry Joseph Houghton 22 April 1903. As far as we can tell, they moved to Lakewood or Cleveland in Cuyahoga County, Ohio. Harriett Edith Donaldson was born 10 September 1875 in Joyceville. We do not know anything more about her other than she married Arnold Lovell 25 July 1903. 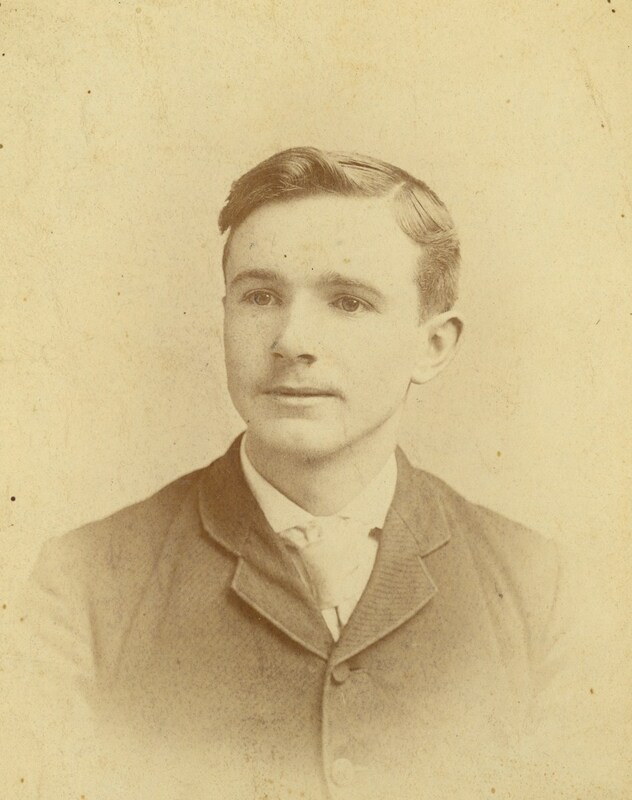 Robert John Donaldson was born 26 July 1877 in Joyceville and died 24 May 1878 in Pittsburgh. Sarah then died 4 October 1880 in Pittsburgh and was buried in the Sandhill Cemetery in Joyceville. Joseph remarried 15 July 1891 in Ernestown, Lennox and Addington, Ontario. We do not know a whole lot about her other than it appears she was born 14 June 1842 in Quebec and died 20 February 1925. Her parents are listed on her death certificate as Henry Quirts and Ann Jane Farquar. The family used the name of Henry Quirt and Ann Jane Farquhar. Dunlop was the name of a previous husband, Robert. When retirement came, Joseph moved to Kingston, Frontenac, Ontario. It is here we presume he met Agnes. He lived in Kingston until he passed away in that city 19 January 1925. He was buried next to Sarah in Sandhill Cemetery in Joyceville.